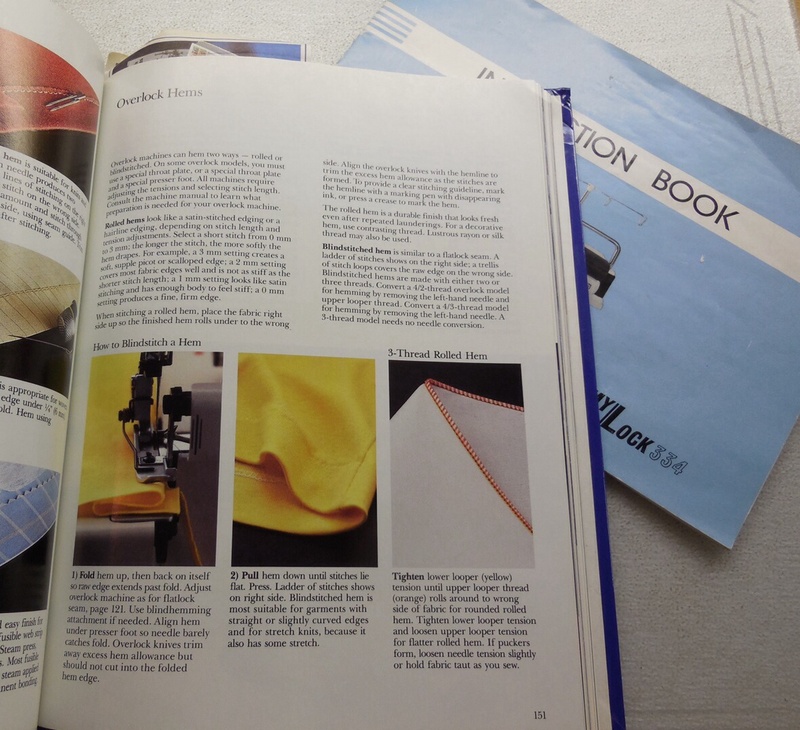 Serger manual – Nice dress! Thanks, I made it!! A Blog Buddy has asked what settings I use on my Janome My Lock 334 serger for a rolled hem, since we have the same machine, and since she does not have the manual for her machine. Well to start, I have a selection of reference books, my next favourite thing to buy besides fabric and notions! 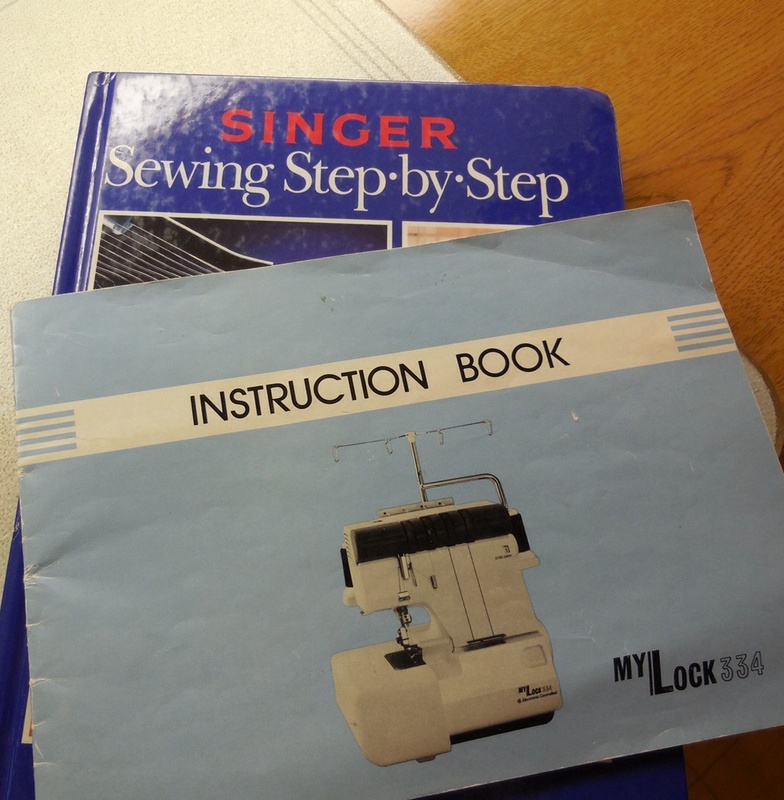 They might help – like my “Singer Sewing Step By Step” and my “Claire Shaeffer’s Fabric Sewing Guide”, along with my serger manual. There are a lot of sewists looking online for that manual. The best they can find is the manual for the MyLock 634D, which they all claim is close. It can be downloaded as a PDF from the Janome site. I can’t believe some sites have the MyLock 334 manual for sale for $14.99. EBay has it for $9.99.